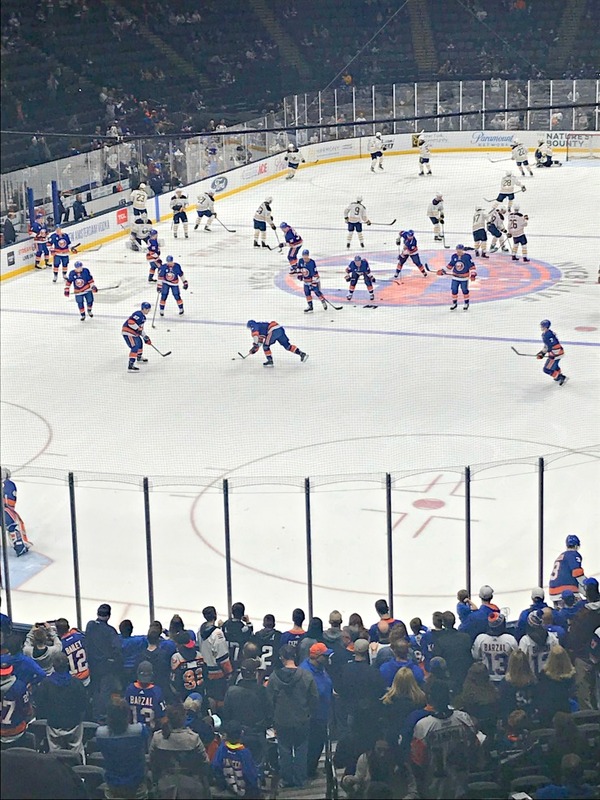 Before getting to my re-evaluating of my workout routine, I need to tell you that my Islanders clinched a playoff spot Saturday night! It was a great game to attend. On Friday I mentioned that my workout routine is being affected by my current lack of normal-for-me morning person peppiness. The weekday mornings are a little hard on me/pressed for time right now in terms of getting my son to school, squeezing in my workout, and then starting my day. It’s not that I don’t have the time, it’s that the timeframe feels tighter than usual (because it is) and it’s affecting my morning mood to get moving. I do not get up as early as I once did. Combine that with still needing time in the morning to linger around at my own pace with the fact that I’ve been driving my son and his friend to school to then come home for a workout before showering to start my work day — it’s a lot. I think this pressured and bothered feeling has been brewing for a while and I certainly do not want my mornings or my workout routine to feel so icky and stressful because it has always been my favorite part of the day. I’ve re-evaluated the situation and my workout routine to make myself feel happier again and here’s my plan. I know that every day gets closer to warmth and earlier sunrises. Both combined always make me peppier in the morning. Not to mention, school ends in June and I won’t have to worry about driving my son to school then. Normally I run only one day on the weekend. I think for right now, the plan is to run both Saturday AND Sunday. This way, I don’t feel pressured to get out the door nor do I have the weekday-pressured workout time frame. Since I only run a maximum of 4 days a week, this leaves me with 1-2 days to run weekday mornings. Worth a shot. I’m not struggling as much on the Pure Barre front so I can still get my average of 3 Pure Barre workouts done during the week. And, with Pure Barre On Demand, I can vary the length of the workouts based upon my mood. If there’s a morning when I just don’t feel motivated enough to move myself, I will either go for a walk in the morning OR later in the day. I think this approach to my workout routine will really help me. It’s important to be flexible with a workout routine and equally as important to be happy with your workouts. I do not wish to feel rushed or bothered during my workout time. That’s not pleasant or fun and workouts should be happy times, not pressured times, you know? This is a good workout option for the treadmill if you want something engaging and slightly challenging. You can make it more challenging as you go by increasing your speed during the hard sections, depending upon how you feel and what you want to accomplish for the workout. Note: I did not go faster than 8.2. 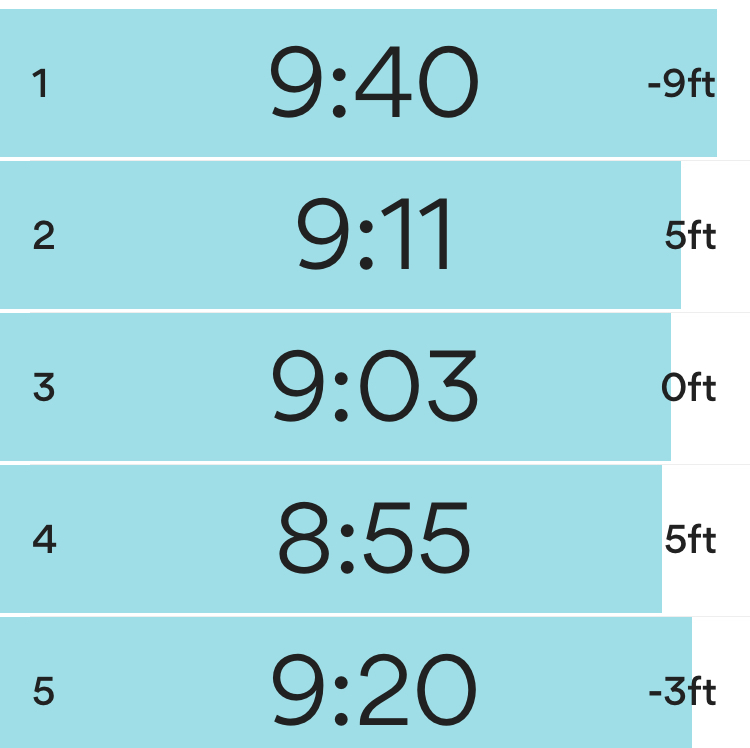 My hard sections often started at 7.7 and then I quickly bumped it up to 8.0, only sometimes going higher, and mostly in the latter half of the workout. I was due for a Pure Barre workout but didn’t feel like a long one, nor did I want to run. So, I went for a walk (I had extra time today) and then chose a 10 minute Pure Barre workout which focuses on seat and abs. It’s one of my all-time favorite Pure Barre 10 workouts! Well, I thought I wanted to run today until I went for a mile to realize I really did not feel like it so I stopped. I walked a bit before deciding to do a 20 minute Pure Barre workout. I’m clearly all over the place. I chose Pure Barre for today so that I would really look forward to running tomorrow morning. Went into this run with zero expectation considering how the week had been going for me in terms of running desire in the morning. I can’t say that I started out wanting to run 8 miles but as you know, once you are going and accumulate like 3 or 4 miles, it becomes relatively easy to find a groove and the desire to continue. 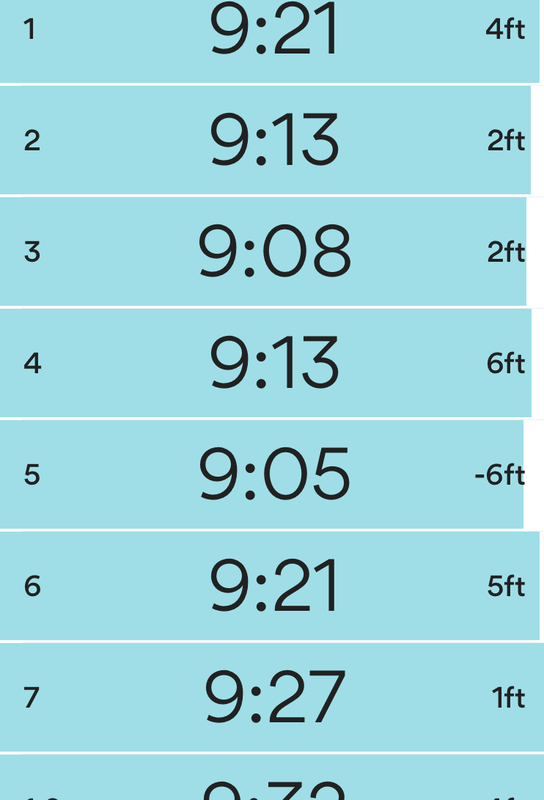 I was slower than usual for absolutely no reason but that’s okay — at least I was out there. Super windy but I didn’t mind since I wasn’t in a hurry. Definitely appreciated taking my time getting out the door and running at my leisure. It was time for new athletic socks so I ordered my favorite Gap Coolmax athletic socks. Honestly, I’ve worn all the athletic socks out there and always come back to these as my everyday running athletic sock. Great price, good fit, comfortable, and wash well. Can’t really ask for more than that. I also ordered new headbands.I always wear the thicker-styled headbands when I run. Oh! I never really talk sports bras but I do wear the medium support line from the Gap. Most are on sale — I have this one and like it. Washes well, comfortable — no complaints. How often do you re-evaluate your workout routine? Are you due for a change now? I’ve been checking out a Pure Barre place near me lately. I think of you every time I go. Good luck with the morning routine and working something out. How are you liking it?! I need to know your thoughts! I hope you love it as much as I do!